It’s St. Petersburg, right before the fall of Communism. Father Fedor, an Orthodox priest at St. Catherine’s Cathedral, is locking up after the late night mass when he hears a stranger’s voice call out to him. The man begs to confess immediately, afraid that if he waits he will become a lost soul. Of course Father Fedor accepts, but what he doesn’t know, what he isn’t expecting, is that this madman has committed the same sin ninety-nine times. 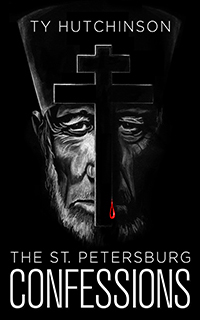 The St. Petersburg Confessions is a gripping tale that clocks in at 20,000 words or 110 pages long.